I tend to add a few new classic staples to my wardrobe every fall and winter. Today I am sharing some recent purchases as well as some brands you’ve might not be familiar with (but will love!). Several things are on sale, too! 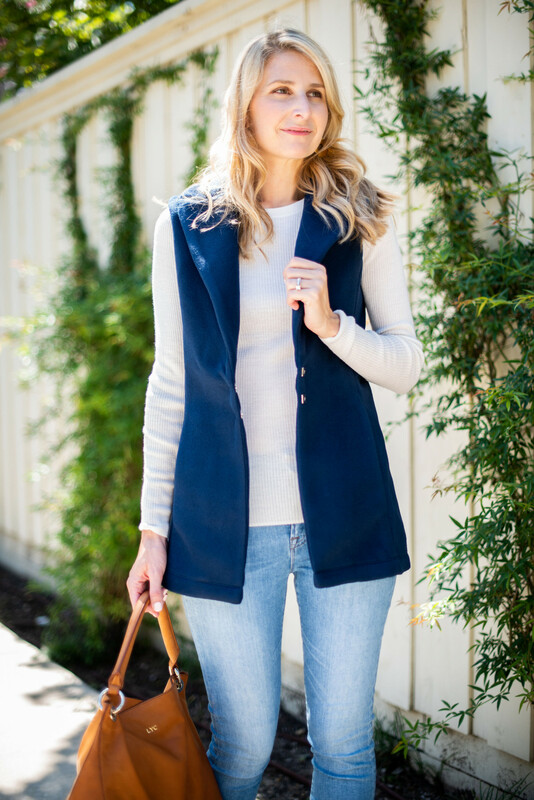 I ordered this navy vest from Dudley Stephens a few weeks ago and I just love the preppy, tailored look of it. (I am wearing a small.) A vest is a piece you can throw over leggings and a long sleeve white tee for carpool or pair with denim and a sweater or blouse when you need a more put together look. If you haven’t heard of Dudley Stephens yet, you soon will as they are quickly becoming a big name in preppy attire. My next purchase will be one of their popular turtleneck fleece pullovers. I just can’t decide which color! I have been seriously eyeing these leather slides from M. Gemi for the last few months. They are so well made and incredibly comfortable. And I was very impressed with the ease of ordering and fast shipping. Leather slides are perfect for Texas fall since it doesn’t get too chilly. Note: sizes are European so check the sizing chart. I wear a nine and wear a 40 in the slides. Last week I was looking for a neutral colored sweater and I stumbled upon this camel sweater from J. Crew. 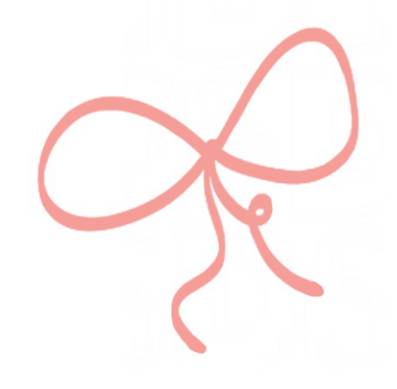 I love this turtleneck because it is lightweight (perfect for Texas fall!) and the color is beautiful! Right now it is 40% off with code BIGSALE! Also comes in black and two other colors. You can pair it with jeans like I did or, for a sharper look, skinny black pants, heels, and statement jewelry. So cute with pencil skirts, too, and even under the vest I have linked above. This is definitely a “wish list” item for me but had to pass along because it’s too beautiful and feminine not to (and you might want to add to your Christmas wish list!). This Tory Burch satchel is fittingly named after Lee Radziwill, Jackie Onassis’ sister and de facto stylist. 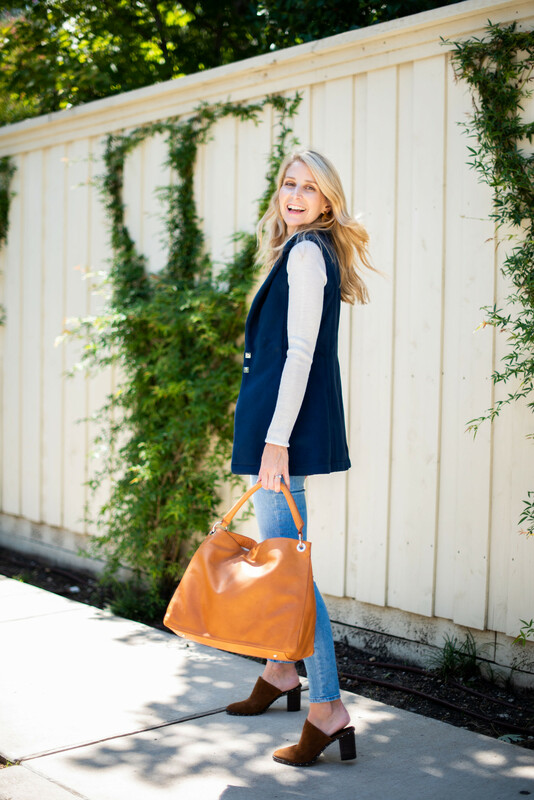 Camel is the perfect color for a fall purse and will always be a classic. For a less expensive and less structured option, I am loving my Mark and Graham build-your-own-tote that is 20% off today! I picked up this pretty blush sweater coat during my try-0n session at J. Crew and I am so glad I did! This is a great addition to a classic wardrobe because it isn’t too heavy, but will still keep you warm! I purchased the “Subtle Pink” color, but it comes in a variety of other colors, including camel. I have a camel coat so I was looking for something different. Note: the sweater coat runs really big; order a size down. Girls’ pumpkin outfits are from Cecil and Lou and will be in tomorrow’s post! The perfect fall wrap is definitely a wardrobe staple for me. The best thing about it is that it can be worn so many different ways. I recently added this one to my collection and plan on wearing it through the fall and into the winter. The neutral colors go with so many things! This wrap from my try-on session a few weeks ago has arm holes that make it easier to keep on! Remember, wraps make great gifts because you don’t have to guess on sizing! I have reached for these gold statement earrings for just about every outfit over the last few weeks. Love them! And also a great gift. Also 40% off today with code BIGSALE. What are your classic fall wardrobe staples that you reach for again and again? 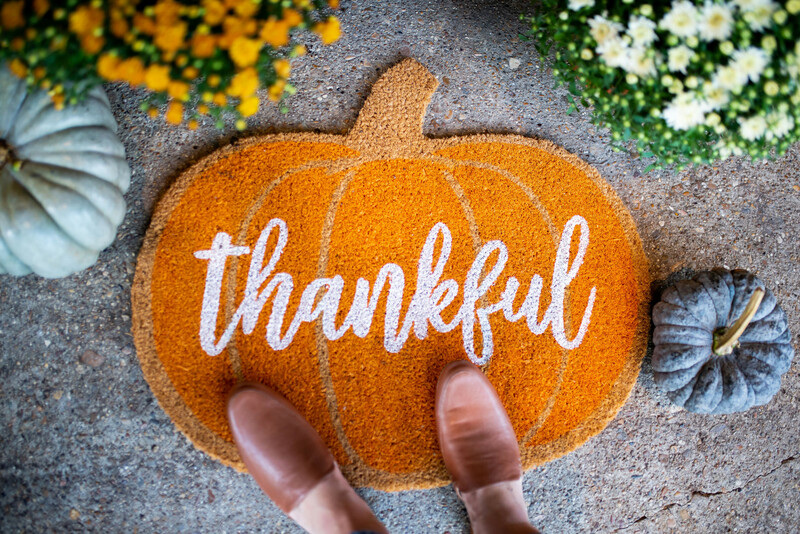 What are your favorite fall staples? 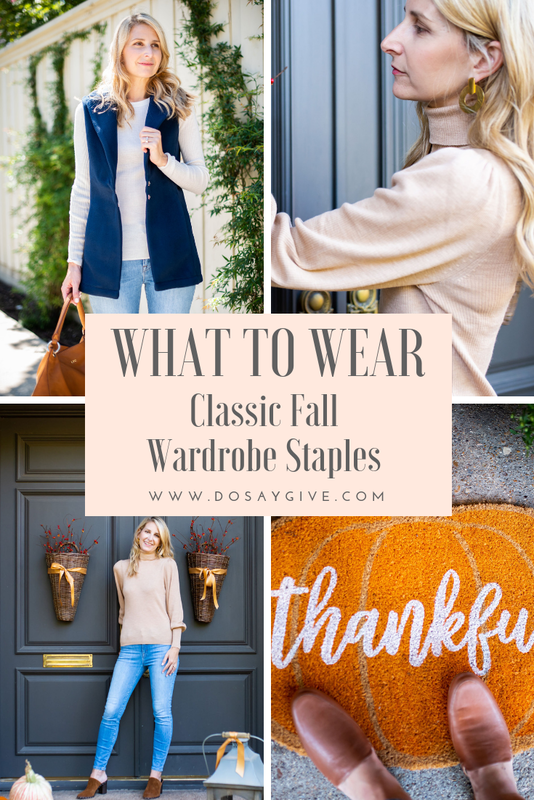 Pin this post for when you are looking for a classic fall piece! Hi! I am looking for the open booties you have! So cute! Linked at the bottom of the post! Sam Edelman! Crazy but can’t find the link? Not the mules but the ankle booties in the wrap pictures;) thanks!! I am sorry!! Here is the link: https://rstyle.me/n/c6va27bhbtf (mine are from last year; this is the updated version). Sorry again! Can you put the build-your-own-tote over your shoulder? The pics online only show it hanging down by the handle. Yes! You can! Which is a must for me. I am posting more details in an upcoming post but you can also change out the straps which is fun. I love your blog and all of your suggestions. I would like to know what monogrammed cognac bag you are carrying. Also, I love the scarves from Mark and Spencer. Is it appropriate to monogram a men’s scarf? What is the name of the bag you are carrying?